Cabin 11A is a log siding cabin. 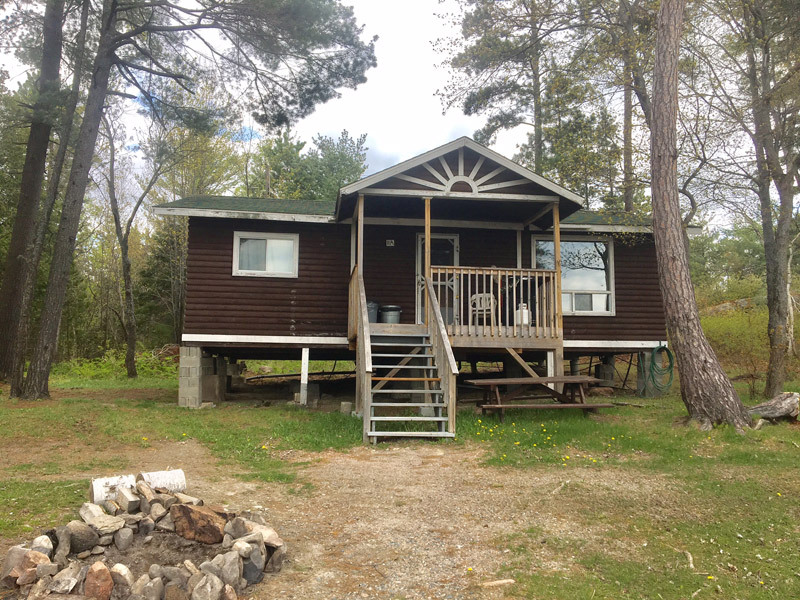 The closet cabins are Cabin 11 located approximately 400' on the West or right side of the cabin and cabin 12 located app. 300' on the East or left side. 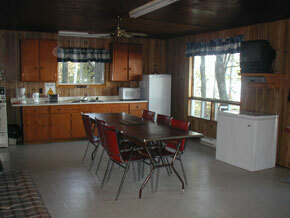 The cabin is rustic but extremely clean. It features a living room, dining, kitchen area, 4 bedrooms and a renovated in spring 2014 4-piece bathroom. This cabin sleeps 8 people. Two bedrooms have two single beds while the other two have a double and single. 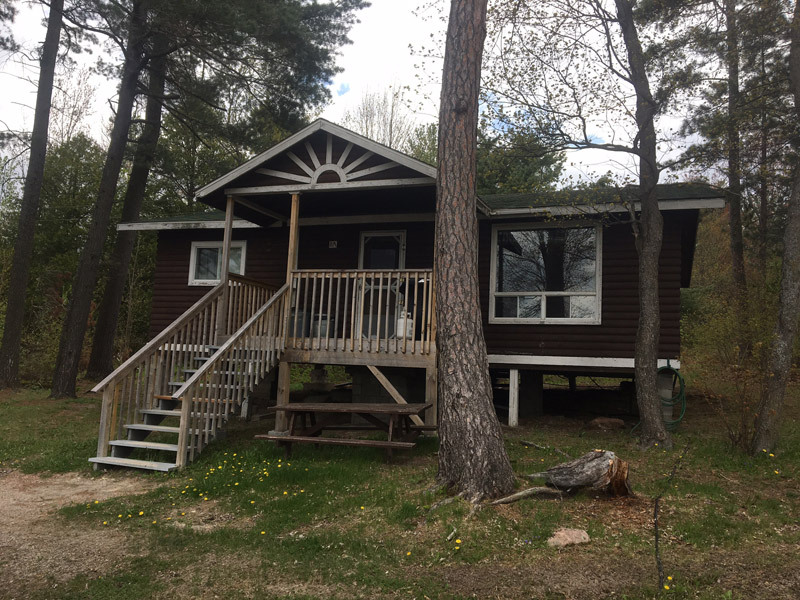 This cabin is heated by individual room electric baseboard heater so that you may warm the cabin up for those cooler early spring and late fall days. Please note that this cottage has hot and cold running water that is potable for drinking purposes and tested monthly. The view from Cabin 11A is wonderful. 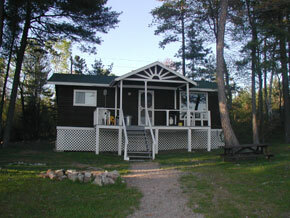 This cabin is boat access but can be walked to from the main lodge via a small hiking trail and a seven-minute walk. 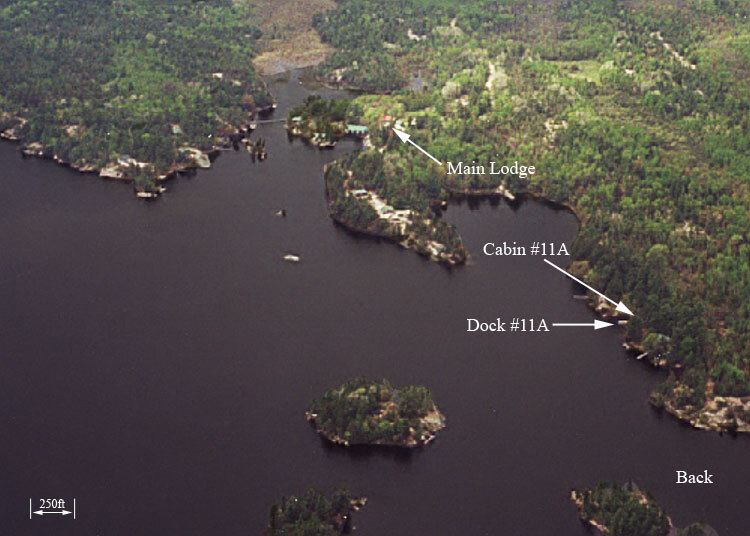 Its private dock easily fits up to 4 private or rental boats with electricity available from the Cabin app 100 feet away.